In addition, barley has high concentrations of tocotrienols, antioxidant compounds that work to suppress the activity of the first rate-limiting enzyme (HMG-CoA Reductase) in the liver, thus reducing cholesterol synthesis. And barley is one of the highest known sources of beta-glucans, carbohydrates that also provide remarkable system support properties, and has been shown to improve blood sugar levels and lipid levels among diabetics in clinical trials. The problem with sprouted barley is that it's extremely gelatinous. All attempts to dry it and package it for commercial distribution failed until a company in Sweden figured out a way to use low-temperature steam (produced in a partial vacuum) to take the barley just up to the point of sprouting -- before it turns gelatinous, but after the point where all the proteins and carbohydrates have been converted, and at a temperature low enough so that no enzymes are damaged. This turns out to be a remarkably interesting point for food. It's like the food is placed in a state of suspended animation at the point where all of the energy of the grain has been marshaled to sprout the pearl and not yet expended in the act of sprouting, hence the name "Aktivated Barley." Like regular barley, aktivated barley ranks incredibly low on the glycemic index. 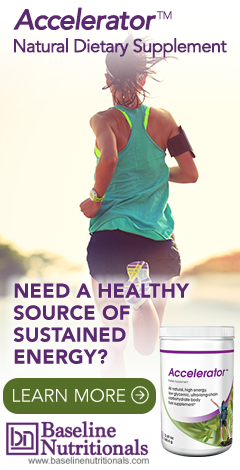 Aktivated Barley contains 1,000s of active enzymes. Sound too good to be true? Even better, learn how Jon Barron has used this ingredient in his natural weight loss shake formula, click here.